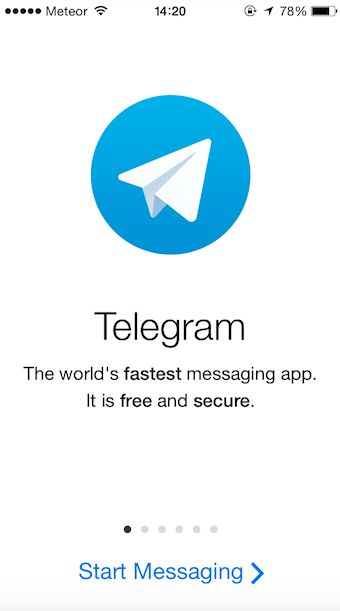 Telegram with Aniways is a new messaging app for Android and iOS that’s based on the official Telegram service. I use iMessage for almost all of my messaging and if someone’s not on iOS, I generally use Messenger or WhatsApp. I decided to give Telegram with Aniways a go to see if it would be the platform to replace the rest. If you don’t already use Telegram, you’ll need to give your phone number to set it up and then you can create a profile and choose a username so people can find you even if they don’t have your digits. Any of your friends who are already using it will show at the top of your contacts list within the app and it tells you when they were last online. From the contacts view, you can also invite your friends to join, start conversations and send a broadcast message to multiple people at once. The app’s interface is simplistic and bears a striking resemblance to WhatsApp. 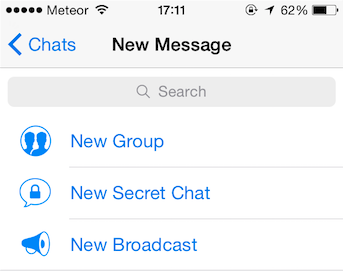 There are three core options on the main screen – Contacts, Chats and Settings. The conversations layout is practically identical to WhatsApp, even down to the default wallpaper. Each message sent and received has a time stamp and delivery is marked by a tick, with two ticks to show it has been read. If the Smart Emoticons aren’t enough to express yourself, you can swipe left and get some related GIFs or just tap the emoji button in the text bar. You can send voice messages or pictures from your Camera Roll from within the app as well, but a neat feature is how you can search the Web for images by tapping on the paperclip icon. I’ve had issues with iMessage in the past where I have wanted to find a particular message and search just doesn’t seem to be able locate it. The search on Telegram with Aniways is surprisingly accurate, quickly opening the particular message you need, rather than just opening the end of a conversation like iMessage does. 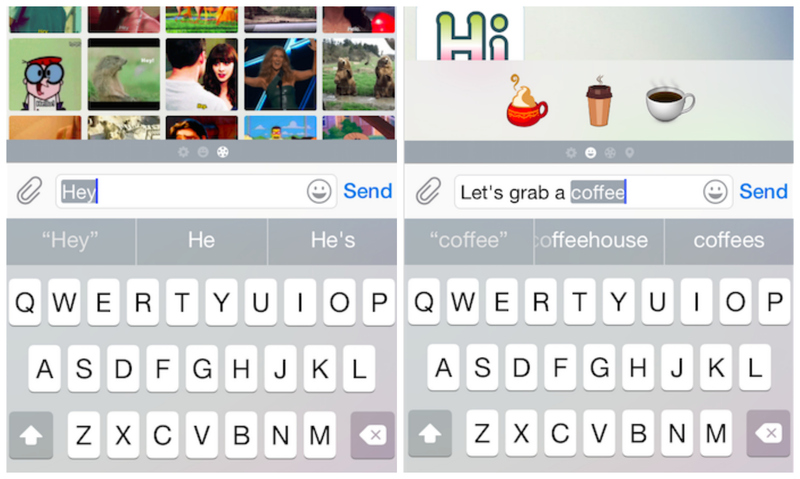 However, what I thought would be my favorite features – the Smart Emoticons and GIF suggestions – turned out to be interruptive and distracting when I was typing messages after a while. I think it would be a great platform for a group chat or maybe for people who communicate more with emojis and pictures than words, but I will be going back to the trinity – iMessage, WhatsApp and Messenger.